Allergic Living Special Edition e-Magazine – Coming Soon! Introducing the digital "next generation" of Allergic Living. With fresh content, advice and outstanding reporting, in a digital format you can read on all your devices. Allergic Living is undergoing an exciting transition to a fully digital format. 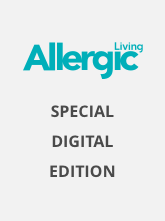 As of June 2019, we will offer subscribers the first of our new Allergic Living Special Edition e-Magazines. These take the place of the Allergic Living print magazine. Each e-magazine will be a standalone "big topic" guide, reporting in-depth on an important allergy topic, and featuring expert guidance and riveting journalistic investigation. See our Subscriber FAQ for more information. Articles will include: Helping your child to break through anaphylaxis and food fears, guiding you to a place of calm control, actionable expert advice, strategies for better quality of life and frank discussion from food-allergic teens and adults. This guide will help you and your food-allergic teen navigate the transition to adulthood. From the peer pressure and brain development risks that teens face, to helping young allergic adults learn to manage college dining halls, dating and social situations. We greatly appreciate our readers' loyal support and look forward to bringing you an exceptional new e-magazine. Following are answers to key questions. Why are you discontinuing the print Allergic Living magazine? Allergic Living's shift to a fully digital format relates to people increasingly using their mobile devices to get news and information. Our readers often ask us for the convenience of phone/mobile access to our feature articles, many of which have only run in the magazine. In turn, the digital format allows us to create news and features in a nimble fashion, to better serve readers. The movement away from print is also a reality all publishers are addressing as advertisers increasingly show greater interest in digital than print. At the same time, costs of printing and distribution have grown significantly. The print model has become challenging to sustain in today's world. Lastly, at Allergic Living we're passionate about our mission as the leading source of food allergy news and feature coverage. Spending less on the increasing costs of a print publication allows us to put more resources into bringing our readers great coverage – both in the new special edition e-magazine and on Allergicliving.com. Given the the wishes of our readers and sponsors, the convenience and immediacy of access, and the future direction of media as a whole – we think the time is right for a fully digital Allergic Living. What type of content will be in the new Allergic Living e-magazine? The special edition e-magazine will be an insightful and helpful publication. It will, however, be different from the former Allergic Living print magazine. Consider it a digital "next generation," bringing fresh content, ideas and format. Each special edition will be a standalone "big topic" guide, investigating a hot-button area of allergic life from a number of challenging angles and solutions. 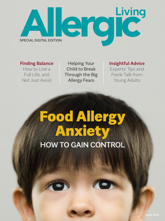 For instance, the June special edition e-magazine will focus on a hugely important area: "Food Allergy Anxiety." Articles will include: helping children to break through food allergy fears, guiding you to a place of calm control, actionable expert advice, and plenty of frank discussion from teens and young adults. The format of the Allergic Living e-magazine will be a magazine-style flipbook, which is responsive across mobile devices. Readers will still find Allergic Living's quality, in-depth reporting, but there will be additional innovations in presentation to suit the online format. What happens to my subscription if there are no more print magazines? The print magazine ends with the Sping 2019 edition. Your magazine subscription then shifts automatically to the new series of Allergic Living special edition e-magazines. The first of these will be available mid-June 2019, and we will email you a notification with a link and access instructions. As a subscriber, you will get the same number of e-magazines as you would have received of the print magazine. The e-magazine will cost others $7.95 per edition and will be sold on a per-issue-basis, rather than subscription. Although you will have paid less per issue within a subscription, you will have no additional charge for these Allergic Living special edition issues. After I read my first Allergic Living special edition e-magazine, what happens if I don’t like it? Subscribers to the former print magazine certainly can cancel, the same as with print magazine. Money is refunded based on the value of the issues remaining on the subscription. That said, if you have enjoyed Allergic Living writers' work in the past, know that we plan to continue our strong reporting and to produce an excellent series of e-magazines for our audience. We appreciate our subscribers' support – and hope you will give the new format a chance. For non-subscribers, what does the Allergic Living e-magazine cost? Is it shareable? The e-magazine will cost $7.95 per edition and will be sold on a per-issue basis. To support the quality journalism we produce, we are charging this modest amount per issue. The e-magazines are behind a paywall, so payment is required for access. But we appreciate our readers telling friends about the new Allergic Living special edition e-magazine. Please do share news of it with the link to the ordering page. The more successful the digital publications are, the more journalism we can undertake. If it's an e-magazine, will it work on my mobile phone or tablet? Yes, it will be in a convenient flipbook format, which is responsive on mobile devices. How will I know when the e-magazine is available and access it? We will email subscribers and other purchasers as soon as each new Allergic Living special edition e-magazine is published on Allergicliving.com. A link and instructions to access the publication will be included. I recently renewed my print subscription by mail, but I don't think my check was cashed. Check the email you will have recently received from us for information about the status of a recent renewal by mail for information. Or email our subscription department at info@allergicliving.com, mention your check wasn't cashed and include a phone number. Can I subscribe in the future for multiple Allergic Living e-magazines? No, since we've adopted a different ordering model. 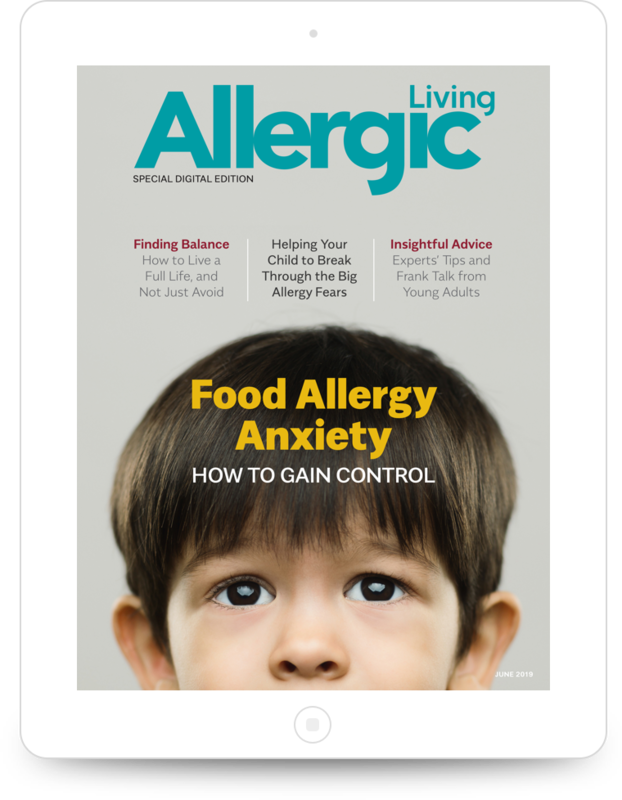 After current subscribers have received the e-magazines owed from a former print subscription, Allergic Living e-magazines will then be available for purchase one at a time. This reduces administrative work and costs, and is a reasonable price for the quality of publication that's being produced.